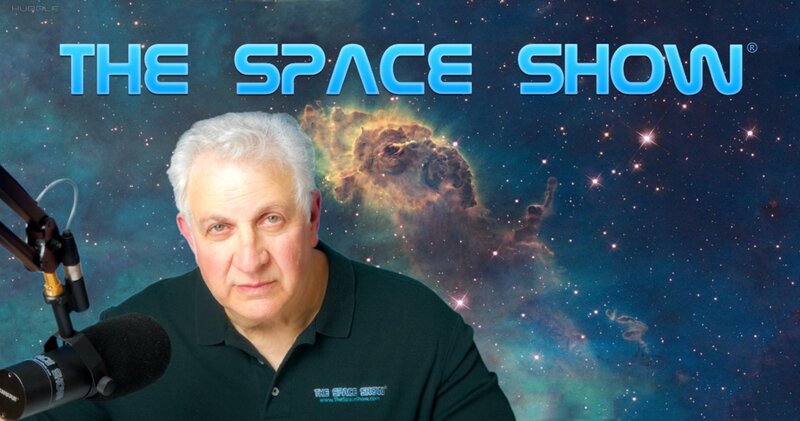 We welcomed back to the show Dennis Wingo to discuss returning humans to the Moon on the 2024 timeline per the recent comments by both Vice-president Mike Pence and NASA Administrator Jim Bridenstine. During our one segment 68 minute discussion, Dennis evaluate the possibility of getting back to the Moon by 2024 plus he outline lunar industrial development plans well into the future. You can find several relevant articles by Dennis which he has posted on his blog at https://denniswingo.wordpress.com. The April 2, 2019 article "SLS AND LUNAR RETURN IN 2024: “WITH FAITH AND AMBITION” was part of our discussion. You can read/download this article here: https://denniswingo.wordpress.com/2019/04/02/sls-and-lunar-return-in-2024-with-faith-and-ambition. In addition, we had a very noisy cell phone connection with Dennis. I apologize for the poor quality audio at times. I find it interesting that when Kim called, she called on her cell phone from Mexico. Her call was crystal clear yet a cell call to Los Angeles was not even close to the cellular quality on the international call. If someone can explain that to me, please do so by posting the explanation on the blog. Dennis started the discussion by saying the comments by Mr. Pence and Mr. Bridenstine were both aspirational and doable. Dennis went on to talk about how the world was very different today than in the past when other lunar return plans had bene proposed. He mentioned a developing and thriving private sector today, new players such as Musk and Bezos and a more competitive ULA. That said, Dennis was firm in saying that if the return to the Moon effort was a NASA only effort, it would probably not succeed. The effort had to involve a new partnership with the private sector to be successful. During the first part of our discussion, Dennis addressed getting to the lunar surface, lunar ISRU with lunar materials and not bringing materials up from Earth due to the cost. He addressed leadership needs and gaps as leadership exists today. In fact, leadership issues were a recurring theme throughout our discussion. Dennis also put for technical, hardware, engineering and at times economic lunar development steps and stages. This included the Orion, the need for SLS, the development and use of the Exploration Upper Stage (EUS) and more. He further explained just how SLS could be useful and the plans to fly SLS at least twice a year to maintain the rocket but also the SLS team skillset. As part of the plan he said that there would be pre-positioned supplies and items place on the Moon, something that could be done by existing private sector rockets today and new private sectors rockets being developed and that will come online soon. Included in this early part of the discussion was the plan for the lunar Gateway and how Dennis saw it fitting into his overall lunar industrial planning. To be useful, the Gateway would be different from what NASA has detailed so far. During this planning and technical discussion, listeners began asking Dennis questions, both by phone and email. Listener Jack in Denver sent Dennis an email asking where the funding was going to come from for what Dennis was describing plus he wanted to know the market for all the lunar product development that Dennis mentioned. Don't miss what Dennis said regarding NASA funding, the needed for an additional $2.4 billion a year and more. Part of his response talked about the economic impact and growth from the type of plan Dennis described as this would actually reduce costs for benefits on the other side. As for the markets for products, he talked about how ISRU had to be different than the normal description of ISRU which referred to terrestrial-like development. He said it needed to be based on the Moon. He cited a lengthy example referring to making products in a vacuum, pointing out how the vacuum is natural on the Moon so ISRU would make the most of that type of environment. Another part of his response focused on the ITER Fusion Reactor and what are known as diamond windows. Don't miss what he had to say about this and lunar manufacturing/cost reduction for this high demand product. Dennis also mentioned going to Mars from a revised Gateway or the Moon, talked about an increase in cosmic ray radiation and how shielding could be made at much lower cost using lunar ISRU. To round off this particular part of the discussion, he talked about using lunar thorium deposits for needed lunar energy. Dr. Doug was our first caller. He had a lengthy discussion with Dennis on the Gateway, fuel depots and where, crews getting back to the surface of the Moon, SLS and the commercial rockets, expendable vs. reusability and more. At one point in this comprehensive discussion, Dennis predicted that SLS might switch to cargo only in the late 2020's. Dennis also talked a about cislunar transportation and transfer vehicles for the Moon, the ISS and more. Following Doug's call, Gordon sent in an email suggesting more planning and developing time might be needed so why not change the timeline to 2028 rather than 2024. Don't miss what Dennis had to say regarding his reply to Gordon. Kim from Mexico was our next caller. She asked Dennis questions about nuclear usage on the Moon. Dennis had much to say on this topic, also the space enthusiasm of V.P. Pence, something Mr. Pence has had since childhood. Dennis talked with Kim about the availability of thorium on the Moon for nuclear energy which would be needed for the industrialization of the Moon per what Dennis was describing on our program. Kim also asked questions about the Integrated Vehicle Fluid (IVF) which Dennis explained in detail so don't miss what he said about IVF. He said it could make a huge difference and applauded ULA for a good design. Note that IVF is a combined propulsion & power system for the long spaceflights. You can read more about it in the is 2012 ULA paper: www.ulalaunch.com/docs/default-source/supporting-technologies/space-access-society-2012.pdf. Listener Gordon sent in a follow up email regarding what Dennis said about not needing more plans and no gov. announcement yet indicating plans were underway for returning to the Moon by 2024. Gordon indicated it would be a simple matter to redirect the Gateway by email, etc. Don't miss how Dennis replied to Gordon's follow up email. Let us know what you think by posting your comments on our blog for this show. As we were nearing the end of our program, Dennis spent a few minutes talking about the need for leadership and follow through by the leadership. He stressed the importance of this over and over again. He reported that he had heard but could not confirm anything that there might be some important announcements about the 2024 timeline around the July 20th Apollo anniversary date. In closing, he reminded us to lay doubts aside, stay positive, get on board, plus he told us a few personal stories to illustrate the importance of what he was talking about. This closing was as a result of listeners expressing skepticism about the 2024 lunar return time table or even any humans to the Moon return program by the US. He reminded us that if the lunar return plans were NASA only plans, they would not work. This time the return had to include the private companies. Please post your comments/questions for Dennis on our blog for this show. You can reach Dennis through me or his own blog per the above URL.